One of the first games I wanted to check out at PAX East was this charming little game called Above from Mighty Moth studios. What I saw in the trailer clicked a whole pile of my buttons and I wanted to see more as soon as possible. This title is still a long way from release (early 2019 is the hope) but I really liked the framework I saw in place. 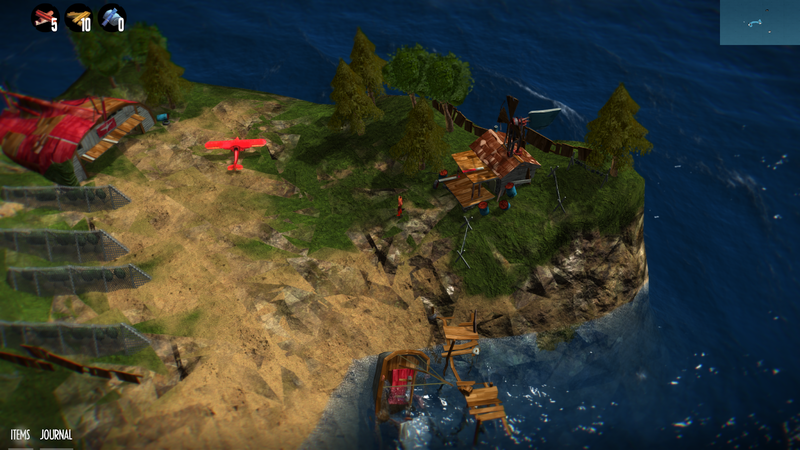 Above is an exploration/flying/adventure game with a deeper story than I expected. The main character was ejected from her zealous community for daring to want to fly. She decided to risk exile and take to the skies because her brother is missing so she embarks on a quest to save him. Quickly in my short demo I saw that there is more to the game and world than it seems at first glance. The core gamplay so far (I have been told there may be a lot of tweaking to the formula) has the pilot travelling around the map - with is a flooded landscape - looking for upgrades to her plane and clues about her brother. On her adventures to rescue him she will travel across dimensions, meet many people and even monsters in the waterways. 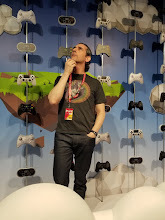 I was instantly charmed by the look and feel of the game as well as the developers clear passion for the title which has been in development for a few years now. They have received great feedback and are able to continue working on the game independently until it's release. This is one game I am excited to keep checking out until it's release next year. 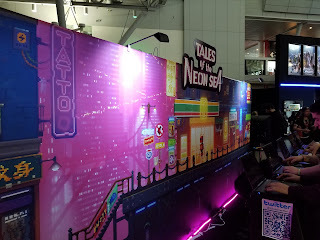 If there is one thing I love it is a good cyberpunk setting and Tales From a Neon Sea caught my attention right away with it's bright and vibrant look which echoed a pixelated Blade Runner. In speaking to the team from a Chinese indie studio called Palm Pioneer that is exactly the look they are going for and they nailed it with the visuals on display. 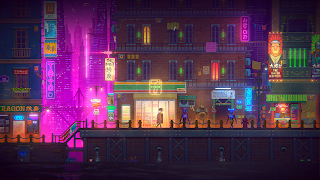 The game is a film noir inspired point and click adventure game featuring a retired detective (in this demo his cat) who is brought back into a cold case when new evidence pops up. The part I played was just a snippet of the introduction but was very interesting as I got a good feel of the tone and humor of the game. The demo starts with the main character restoring some power to his apartment but ends with the local cat exploring and reaching the boss of his clan. Dialogue was interesting as were the few puzzles on display, which were just challenging enough to give some pause but not too hard to be frustrating. There will be much more to the game according to the developer but what I saw so far from the demo and trailer I am definitely intrigued. One of the best pieces of news from the team at PAX East is that the game is nearly complete and will be available on Steam late summer which is a very quick window between reveal and launch. It is a great looking game with a terrific art-style, fun gameplay and a surprisingly funny narrative experience.